Govt. 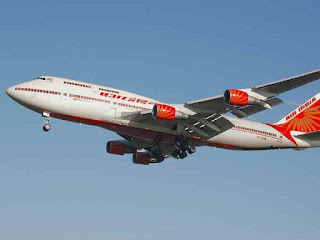 of India new aviation policy draft seeks to help "Everyone fly". Incentives to fly to small towns at affordable costs and easing the norms for domestic carriers to operate services abroad are some of the highlights of the new draft aviation policy, released on on 30th Oct for feedback before finalisation. Fares to be capped at Rs 2,500 per hour flying on regional airports; Proposal to levy 2% cess on tickets and use collection to fund airlines' losses if they fly to remote areas; 80% funds to flow from Centre, rest from states. IMPACT: Move would incentivise development of low-cost airports, Domestic, international fares would go up; 2% . IMPACT: Help airlines reduce cost of operations. Among other things, the draft policy proposes to rationalise jet fuel cost, promote air cargo, maintenance, repair and operations (MRO) through fiscal and regulatory concessions and frame separate regulations for promoting helicopter operations. The ministry has considered a slew of fiscal incentives for stakeholders in the draft policy across the country’s fledging aviation industry to reduce operating costs for airlines and rationalise air fares. The ministry is looking at tax waivers to incentivise stakeholders across the value chain for a specified period of time. The growth in the sector would be evaluated thereafter and the tax breaks realigned. bilateral arrangements but once there are open skies it does not make much sense to distinguish between domestic and foreign carriers’, said a senior ministry official. The IMF’s latest World Economic Outlook (WEO) foresees lower global growth compared to last year, with modest pickup in advanced economies and a slowing in emerging markets, primarily reflecting weakness in some large emerging economies and oil-exporting countries. Growth in advanced economies is projected to increase modestly to 2 percent this year and 2.2 percent next. This modest increase primarily due to declining oil prices, accommodative monetary policy, and improved financial conditions, and in some cases, currency depreciation. Growth prospects in emerging markets and developing economies vary across countries and regions. But the outlook in 2015 is generally weakening, with growth for these economies as a group projected to decline from 4.6 percent in 2014 to 4.0 percent in 2015. • Lower oil and other commodity prices, which although benefiting commodity importers, complicate the outlook for commodity exporters, some of whom already face strained initial conditions (e.g., Russia, Venezuela, Nigeria). • A sharper-than-expected slowdown in China if the expected re balancing toward a more market-based and consumption-driven growth proves more challenging than expected. • Disruptive asset price shifts and a further increase in financial market volatility could involve a reversal of capital flows in emerging market economies. • Increased geopolitical tensions in Ukraine, the Middle East, or parts of Africa could take a toll on confidence.